Troy-based Automation Alley has hired Pavan Muzumdar as its new COO. In his new position, Muzumdar will be in charge of facilitating the operations of the company, and help plan and execute strategic goals. He will report to Tom Kelly, executive director of Automation Alley. 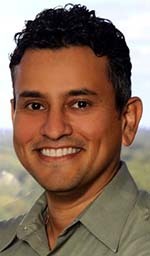 Muzumdar, of Bloomfield Hills, is the creator of the organizational teachings tool icube, which is software that contains techniques and disciplines to help companies run effectively. He will continue as the lead facilitator of icube in the Automation Alley program, the Automation Alley 7Cs. Muzumdar is a graduate of the University Massachusetts, receiving a Bachelor of Electronics Engineering and Master of Computer Science. He also earned a Bachelor of Electronics degree from the University of Bombay in Mumbai.